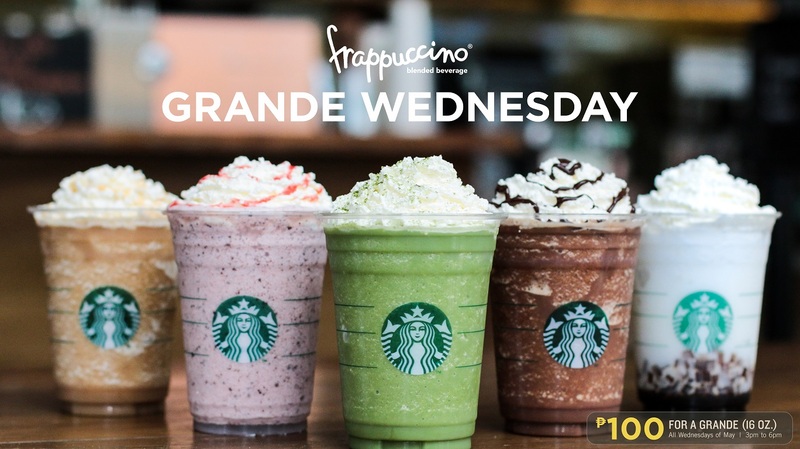 If have been missing Starbucks' quite unique offering called the Grande Wednesday where you can get the Frappuccino of the day in Grande size for only Php100, well miss no more, as our favorite coffee shop is bringing it back this month of May! Starting on May 2, see below all the Frappuccino beverages that will be offered for each Wednesday of the entire month to help us refresh and cool down our summer experience. 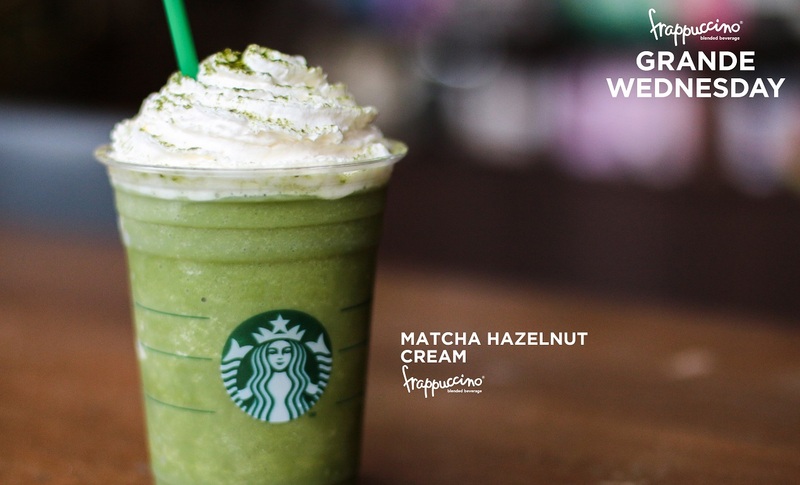 Matcha Hazelnut Frappuccino: Your favorite Green Tea Frappuccino is infused with sweet and buttery Hazelnut syrup to create a popular combination of flavors! Whipped cream and a dash of matcha powder complete with this drink. 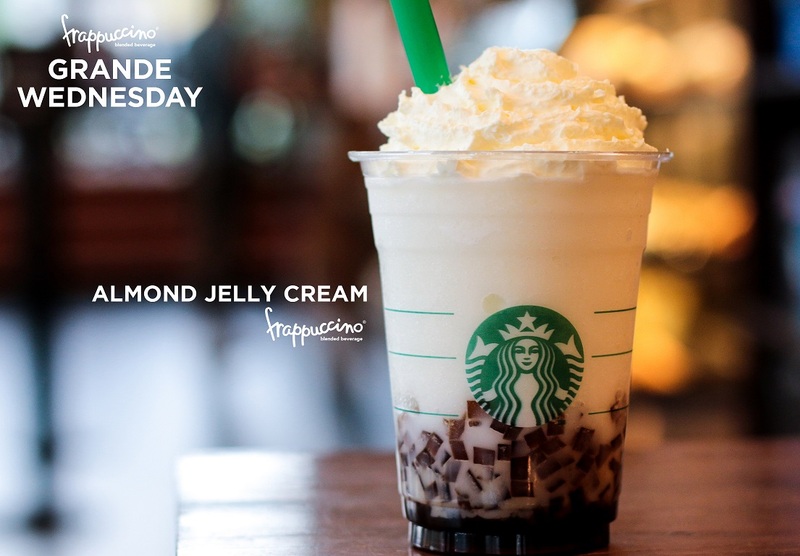 Almond Jelly Cream Frappuccino: Aromatic Almond syrup blended with milk and over Starbucks' signature coffee jelly cubes make a light and refreshing Frappuccino drink. This beverage is finished with whipped cream for just the right amount of creamness. 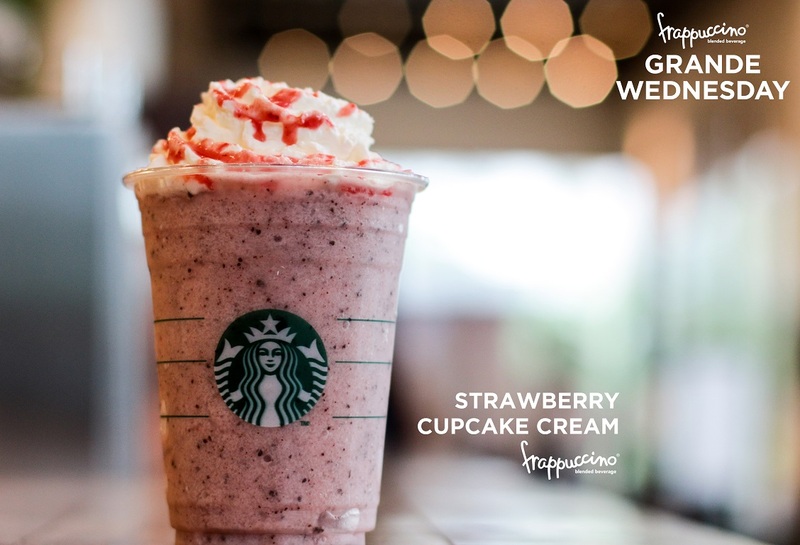 Strawberry Cupcake Cream Frappuccino: Frappuccino chips dense with chocolate and coffee taste are blended into Vanilla Frappuccino then mixed with sweet-tangy of whipped cream and strawberry sauce make this an Instagram-ready drink. 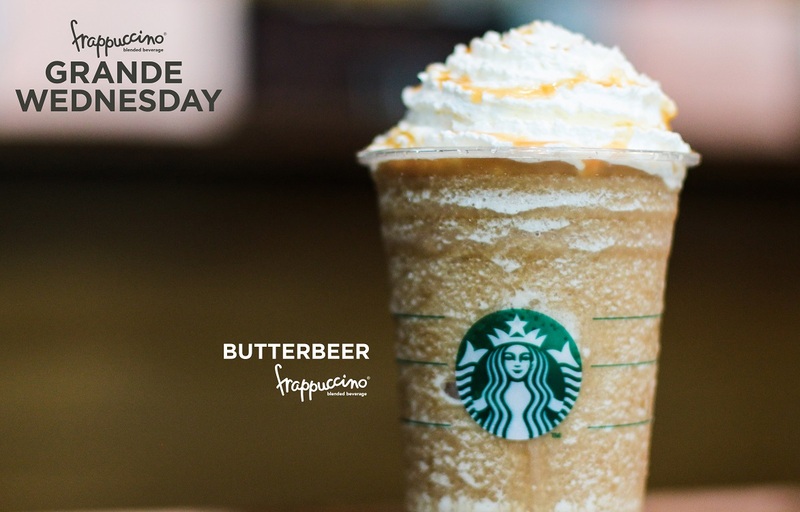 Butterbeer Frappucino: Caramel lovers, rejoice! Caramel and Toffee Nut syrup blended into coffee Frappuccino make a delectable concoction. Buttery-sweet caramel drizzle toppings contrast beautifully with the vanilla notes of regular whipped cream. 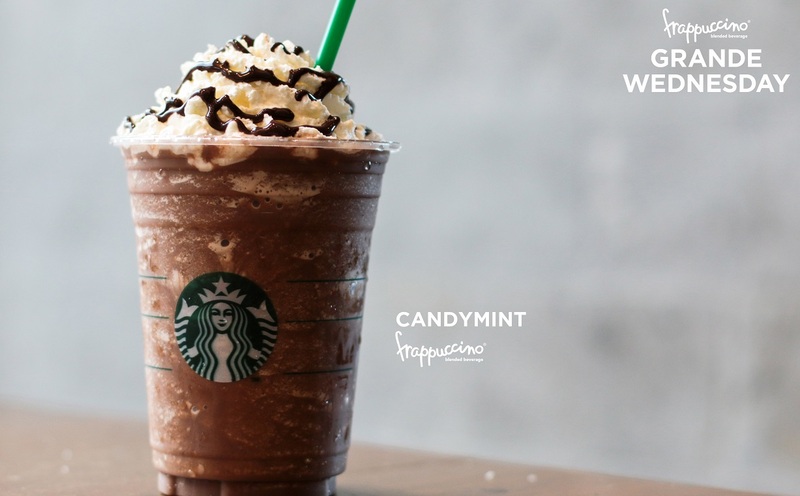 Candymint Frappuccino: You can never go wrong with chocolate, mint and coffee. The classic Mocha Frappuccino with extra chocolate flavor is infused with mint syrup for a splash of cool, complementing the intense coffee notes of this drink. Chocolate drizzle over regular whipped cream lend more chocolaty goodness to this beverage. This Grande Wednesday promo is offered every Wednesday of May starting at 3PM until 6PM nationwide.